Creamer's Credit (Tuskegee Airmen) LAST ONE! 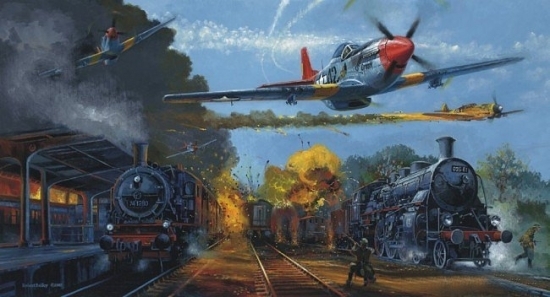 Overall Print Size: 33" x 22"
On April 12, 1945, the P-51 Mustang ‘Creamer’s Dream’ flown by Lt. Charles L. White of the 301st Fighter Squadron, Tuskegee Airmen, shoots down an Me-109 in Austria. Robert Bailey is a master at painting aviation air battle scenes and this is one of his best.